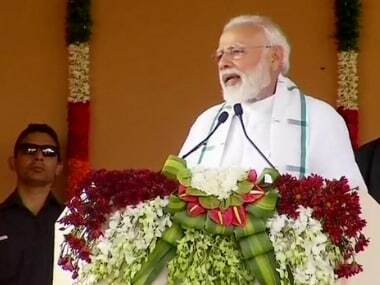 On Monday, Prime Minister Narendra Modi said for the first time that the Congress was responsible for propagating the phrase "Hindu terror" which, Modi said, insulted a peace-loving people. 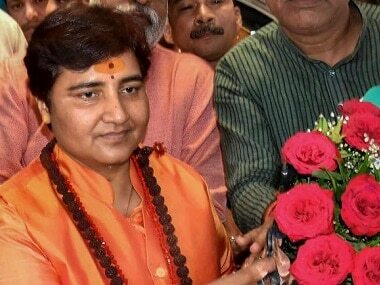 "Is there a single incident in the history of thousands of years, of Hindus engaging in terrorism?" Modi asked. The prime minister had reason to invoke Hindu honour. He was at Wardha in Maharashtra, a state where the Bharatiya Janata Party's alliance with the Shiv Sena sets the former the tenuous challenge of appearing even more in sync with the Hindu voter base lest its big brother shoots off yet another editorial on Saamana. On top of that, Modi had just seen headlines swamped with Congress chief Rahul Gandhi's decision to run from Kerala's Wayanad. But even if we consider that Modi was only delivering to a crowd he knew would respond to the line, he was not quite factually correct. Although never mobilised to the extent to which Islamist terrorist outfits have been, Hindu terror has made its presence felt in isolated pockets and in varying degrees of brutality in the last three decades itself. The Telegraph referred to Modi's "thirteen" references to Hindus and Hindu terror with the rejoinder that Modi had perhaps forgotten about one of the most significant Hindu terrorists of all, Mahatma Gandhi's assassin, Nathuram Godse. Although Godse was avowedly rightwing, with unproven ties to both the Rashtriya Swayamsevak Sangh (RSS) and the Hindu Mahasabha, his work is said to be that of a lone man. A paper titled Hinduism and Terror by Paul Marshall of the Hudson Institute notes that scattered incidents of Hindu strikes on Christians had remained largely in the dark until in 1999, when Australian missionary Graham Staines was burned alive in Odisha, along with his two young sons. Staines had worked with lepers for three decades before that. The state, particularly, has been witness to even worse instances of crime by Hindus on Christians. In 2008, in the landlocked district of Kandhamal, 39 Christians were killed and 232 churches destroyed in a carnage largely credited to have been started by the murder of Vishwa Hindu Parishad leader Lakshmanananda Saraswati. Saraswati, Scroll reported, was notorious for his inflammatory speeches and when he was killed, the likes of BJP MLA Manoj Kumar Pradhan is widely thought to have urged Saraswati's Hindu followers into unleashing anger on Christians. The seven Christians who were convicted and are serving sentences for Saraswati's murder maintain they are innocent. Thousands of Muslims were massacred in the riots that took place in Gujarat in 2002, in the aftermath of the Sabarmati Express being set on fire, killing 58 karsevaks. The mob, largely Hindu, is believed to have been enabled by highly placed officials in the government and the police. In 2007, a bomb placed in the courtyard of Sufi saint Khwaja Moinuddin Chishti's shrine at Ajmer in Rajasthan killed three people and injured 17. Eleven years later, the main accused, an RSS pracharak called Suresh Nair (who carried Rs 2-lakh reward on his head) was arrested by the Gujarat Anti-Terror Squad and handed over to the National Investigation Agency. On 8 March, 2017, reported Hindustan Times, an NIA special court in Jaipur had convicted Nair and two other ex-RSS members Devendra Gupta and Bhavesh Patel in the blast. In this very case, however, the court acquitted other accused in the case — RSS' Naba Kumar Sarkar alias Aseemanand and six others. 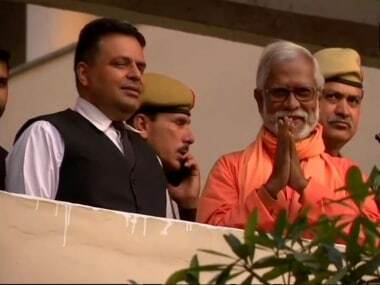 This would not be Aseemanand's first acquittal in a terror case. As recently as 20 March, all four accused in the 2007 Samjhauta train bombing case, including Swami Aseemanand, were given clean chits by a special NIA court in Panchkula. The blast on the Samjhauta Express occurred near Panipat in Haryana on 18 February, 2007, when the train was on its way to Attari in Amritsar, the last railway station on the Indian side. Swami Aseemanand, along with Lokesh Sharma, Kamal Chauhan and Rajinder Chaudhary, were widely suspected to have orchestrated the blast which had ripped apart two coaches of the cross-border train, killing 68, mostly Pakistani nationals. Six people were killed and more than 100 injured when an explosive device strapped on a motorcycle went off near a mosque in Malegaon in Maharashtra, on 29 September, 2008. 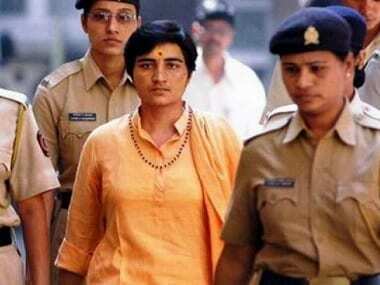 Among those who were charged were Sadhvi Pragya Singh Thakur and Lieutenant Colonel Shrikant Purohit, both popular Hindu nationalist figures. Both were eventually exonerated, as were Shivnarayan Kalsangra, Shyam Sahu, Praveen Takkalki, Dhan Singh and Lokesh Sharma (he would find himself acquitted in the Samjhauta blast too). In spite of several instances of clear violence being perpetrated by Hindu terror groups, Narendra Modi is at least right in noting that indeed, Hindu terror is a subject of which little is heard. Thanks to its scattered nature, the concept at least appears an alien one, so much so that when the Priyanka Chopra-starrer Quantico depicted in an episode that a Hindu terror attack was being blamed on Pakistanis, the uproar was as organic as could be expected. 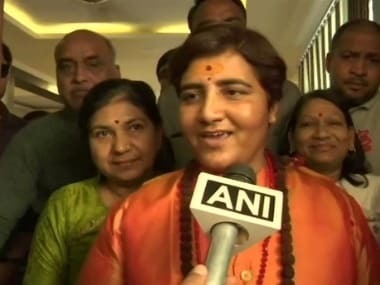 The same Hindu hardliners who had attacked Chopra on social media for visiting Rohingya Muslims, intensified the attack on her to such an extent that she had to apologise for even having been a part of a fictional depiction of a Hindu terror group.